Onesime Niangoran serves as an Administrative and Operations Assistant at the World Cocoa Foundation (WCF). He performs a variety of administrative and operational tasks in Côte d’Ivoire to help with streamlining day-to-day activities. 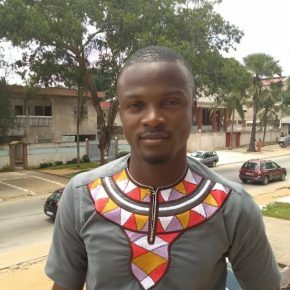 He joined WCF as an intern in 2017, after completing his BA in English Literature & Civilizations at the University of Cocody, Abidjan. He also studies Business and Marketing Management with the Association of Business Executives UK.